Buick boasts an understated luxury that gives its vehicles a sleek, sporty edge. As the oldest American automobile manufacturer, its cars feature masterful styling and modern amenities. Keep your Buick performing at its best through scheduled maintenance. Hollenshade’s Auto Service delivers the expertise and professionalism your car deserves. Our ASE-certified technicians conduct accurate diagnosis and repairs in Maryland. You try turning on your car, but your engine refuses to roar to life, and all you hear is a sputtering sound — or complete silence. Knowing the state of your car’s batteries is important because getting stranded on the road isn’t an option. Take your car to Towson, Maryland shop for a Buick battery, charging, and starting service. If you need a new battery installation, we select a new one that meets your manufacturer’s recommendations. Unlike other components, belts and hoses are more prone to vibration, heat exposure, and contamination. In turn, this makes them wear out faster. Through routine inspections and maintenance, you can boost your car’s performance and prevent costly future repair work. Our team will conduct a complete vehicle inspection, and then carry out the needed belts and hoses replacement for your Buick. The Maryland Vehicle Emissions Program is crucial to improving air quality. As a registered car owner in Towson, Maryland, this means your car needs to go through vehicle emission systems at least once every two years. If your Buick fails the tests, you’ll need to schedule an emission repair and maintenance service. Our technicians identify the cause of failure and keep your car operating efficiently to reduce air pollution. A fully functional electrical system facilitates even energy distribution. As a safety measure, replace your battery every four years. Our ASE-certified technicians in Towson, Maryland provide complete transparency and a full-vehicle perspective to our diagnosis. Before we conduct the needed electrical system repairs for your Buick, we inform you of the overall condition of your car. We are an auto repair facility in Towson, Maryland. Turn to us for your Buick’s automotive needs. Fill out our online appointment form today. 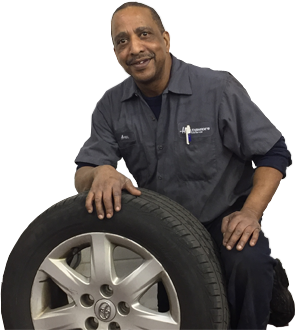 The team at Hollenshade’s in Towson, MD has a Buick specialist on staff to provide owners with the best preventative maintenance and service to Buick owners. Having an automotive tech with specific Buick experience allows us to diagnose and repair the issues efficiently with affordable rates. If you’re experiencing problems with your Buick, contact Hollenshade’s to schedule an appointment.